1) Usually very old : giant sequoias can reach a 100 m, and be over 3000 years old. 2) Always very useful : they serve as shelter, sleeping or nesting place, shade, food, nutrient source or support for other plants. 3) Quite rare : No, I’m not only thinking about rainforests. Big trees are found from North America to South-East Asia, BUT there aren’t many of them. 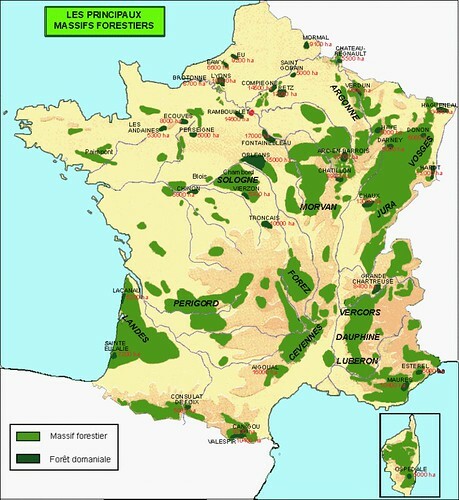 1) Not very surprising : human have been clearing forests for a very long time (France, for example was covered by a dense temperate forest 2000 years ago..check the map for what’s left nowadays), and deforestation is NOT slowing. 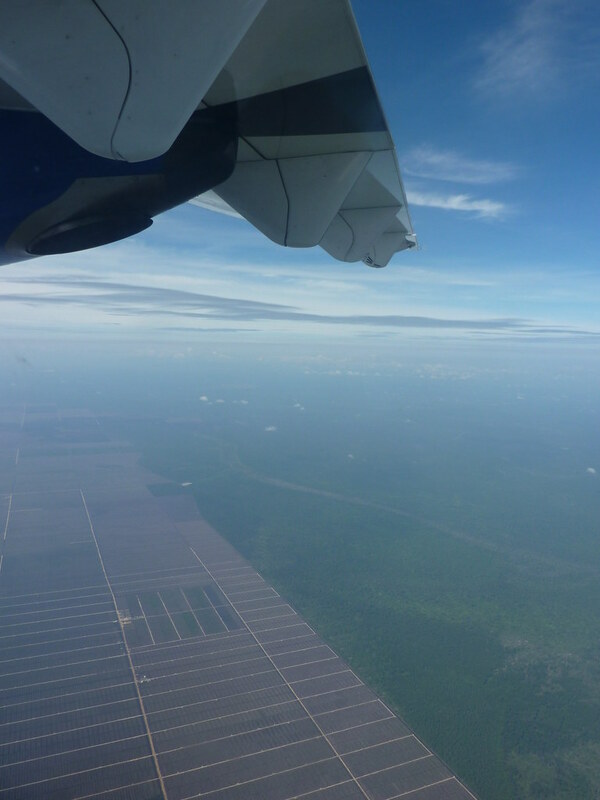 It makes me think of a pretty sad sighting in Borneo, oil palm plantations on the left, primary/secondary rainforest on the right. Ugh. 2) Even in the cases the forest is not totally cleared, loggers usually take the biggest trees, which have the best commercial value. 3) In many places, there is intensive deforestation followed by farming / crop planting around protected areas… or a recent study (2010) indicates that the “mortality rate for the biggest trees had tripled in isolated patches of rainforest surrounded by pastures”. ‘Possible’ causes? Increase in winds and droughts. 4) Global warming…oh wait, not again?? Unfortunately… Increase in CO2 and temperature involves increased droughts with tragic consequences : fires, decreasing humidity and extreme phenomenons (like cyclones). So…an increase in CO2 could a priori be a good thing for plants. 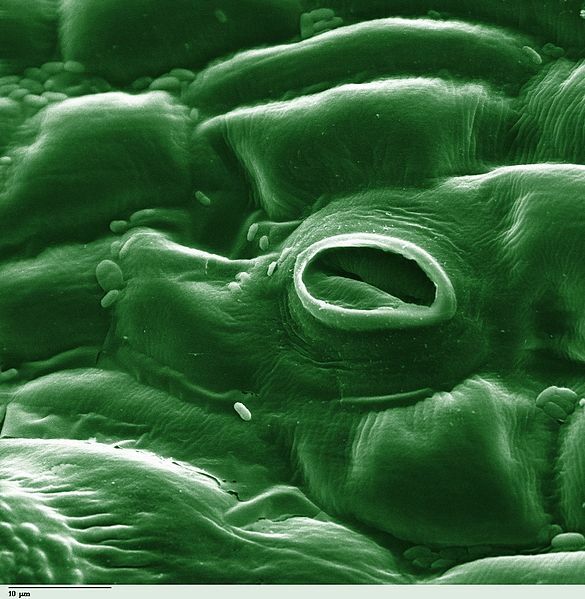 But in order to catch CO2, plants have to open the stomatas (little pores, check the picture) on their leaves, which causes water loss. Are you getting my point? 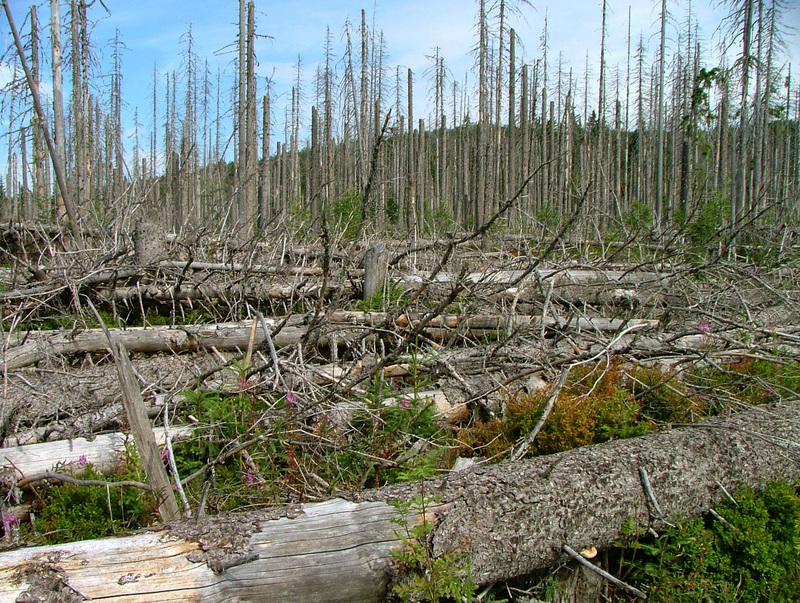 IF there is more CO2 but also more drought, plants will have a hard time photosynthesizing : trees will barely be able to survive, and certainly not thrive. 5) Invasive plants. In some places, the proportion of vines in tree crowns has doubled or more in the last decades. They can grow in the canopy, where they help the fires to spread and decrease light availability or in the understorey, where they prevent young tree seeds from germinating. 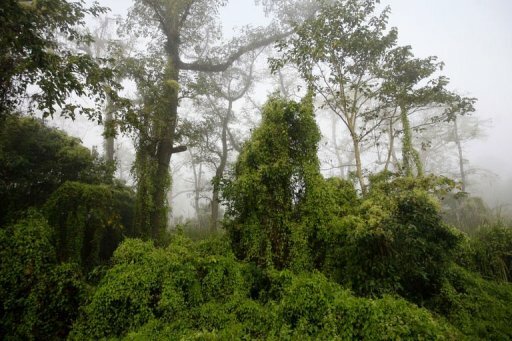 Check kudzu (Pueraria lobata), a terrible invasive in America or Mikania micrantha in Nepal for example. 6) Other pests : fungi, exotic insects can also cause serious threats to trees. 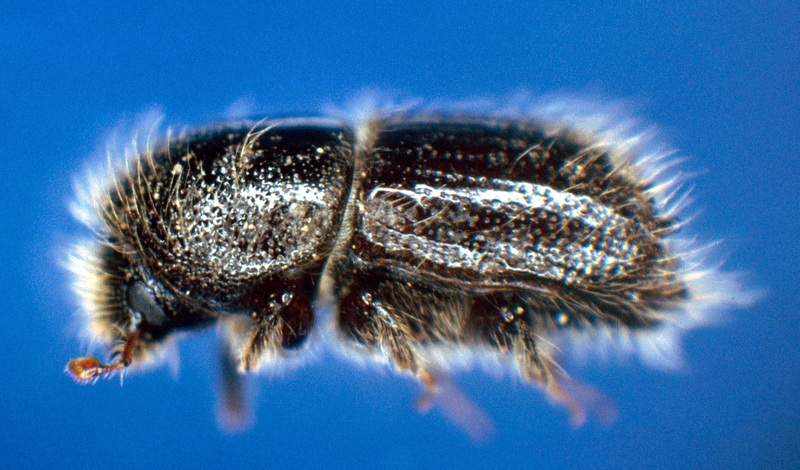 Innocent-looking insects like bark beetles (Coleoptera, Scolytidae/Curculionidae) can destroy entire forests by forming tunnels into the bark (which cut off the water supply) and transmitting diseases like fungi. Well, that’s the pretty sad part. Apart from trying to save these giants by decreasing logging or protecting forests, the global warming trend will probably be fatal to them. The worst thing? Dying trees release CO2. The bigger they are, the more CO2 will get back to the atmosphere. Next Post Et si on s’intéressait aux oiseaux?